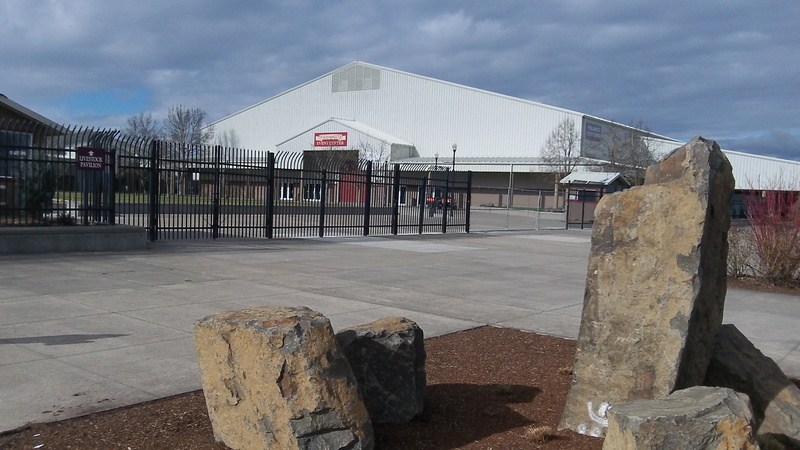 Filling the Expo Center would be one added aim of promotion funded by the transient lodging tax. There’s something a little unusual about the sales tax on hotel rooms. Unlike other taxes, its main point seems to be to generate more taxes. This comes up as Albany officials and others are once again thinking of ways to use the city room tax revenue to drum up more business from tourists and other travelers. For a couple of hours Monday, the city council talked about the “transient lodging tax” and how it might be used to promote more people visiting Albany and staying in hotels. Eventually the council asked its staff to assemble representatives from the city, Linn County, the hotels, and the visitors and downtown associations to develop a marketing program that would be supported from the money the room tax brings in. The new marketing program presumably would promote the Linn County Expo Center, which would help the hotels and other businesses as well. During the fiscal year that ended this June, Albany hotels collected about $845,000 in city tax from their paying guests. They kept 5 percent of the total for the trouble of collecting it, and they handed over the rest, $802,268, to the city of Albany. The city tax rate on hotel rooms is 9 percent. That’s in addition to the 1 percent Oregon room tax. So anybody paying $100 for a night in an Albany hotel gets a bill for $110. The state tax is levied to support promotion of tourism, and by law the local tax is supposed to go largely for that purpose as well. Several local organizations share the money. They include the Albany Downtown Association, which seems a little odd at first because there’s not single hotel downtown. Taxpayers normally get something for any tax they pay, at least in theory. Local property taxpayers get police and fire protection, for instance, not to mention library service and lots of other good things. Payers of state and federal fuel taxes get roads including the very well maintained Interstate 5. And so on. Transient lodging taxpayers don’t get anything other than a night’s sleep and maybe a complimentary breakfast, but that is covered by the price of the room. Then they get back on the road, leaving their 9 percent city tax so that someone can try to entice more visitors like them. Room taxes are nothing but an unwritten CONSPIRACY among cities to tax without voter approval. The local residents don’t care because they don’t pay it….. Unless they stay in another city. How is this any different than CARA? CARA’s main purpose is to generate taxes. Just ask Ray, he’ll tell you that CARA is doing exactly what it was intended to do. What he means is that CARA is generating tax revenue for the city to do with as it pleases. Only in my dreams Jim…only in my dreams. 100% of that revenue goes back into the URD to be utilized for the express purposes of the URD.